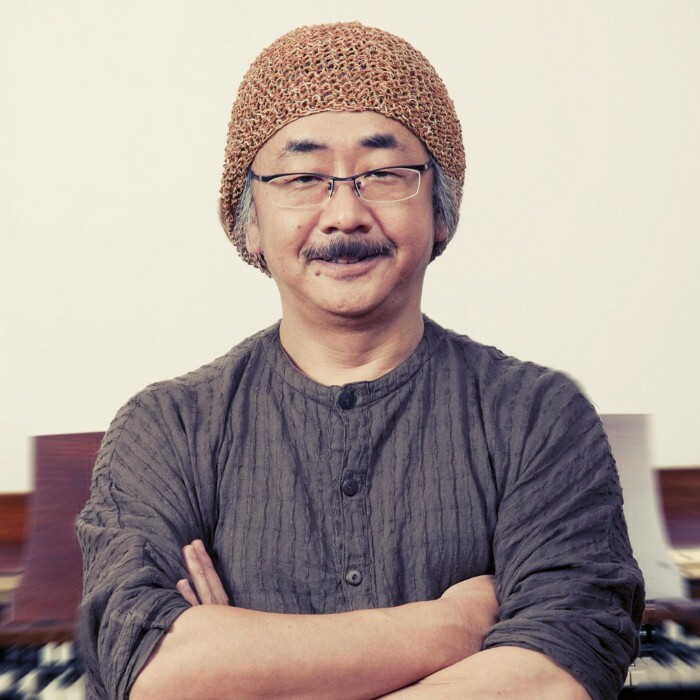 Nobuo Uematsu (æ¤æ¾ ä¼¸å¤« Uematsu Nobuo?) (born March 21, 1959) is a Japanese video game composer, best known for scoring the majority of titles in the Final Fantasy series. He is considered as one of the most famous and respected composers in the video game community. Uematsu, a self-taught musician, began playing the piano at the age of eleven or twelve, with Elton John as his biggest influence. Uematsu joined Square (later Square Enix) in 1986, where he met Final Fantasy creator Hironobu Sakaguchi. They have worked together on many video game titles, most notably the games in the Final Fantasy series. After nearly 20 years in the company, he left Square Enix in 2004 to found his own company called Smile Please, and the music production company Dog Ear Records. He has since composed music as a freelancer for video games primarily developed by Square Enix and Sakaguchi's development studio Mistwalker. Soundtracks and arranged albums of Uematsu's game scores have been released. Pieces from his video game works have been performed in Final Fantasy concerts. He has worked with Grammy Award-winning conductor Arnie Roth on several of these concerts. From 2002 to 2010, he was in a rock band with colleagues Kenichiro Fukui and Tsuyoshi Sekito called The Black Mages, in which he played Electronic organ and other keyboards. The band played arranged rock versions of Uematsu's Final Fantasy compositions. He has since performed with the band Earthbound Papas. Nobuo Uematsu was born in KÅchi, KÅchi Prefecture, Japan. A self-taught musician, he began to play the piano when he was eleven or twelve years old, and he did not take any formal piano lessons. He has an older sister who also played the piano. After graduating from Kanagawa University, Uematsu played the keyboard in several amateur bands and composed music for television commercials. When Uematsu was working at a music rental shop in Tokyo, a Square employee asked if he would be interested in creating music for some of the titles they were working on. Although he agreed, Uematsu considered it a side job, and he did not think it would become a full-time career. He said it was a way to make some money on the side, while also keeping his part-time job at the music rental shop.